William Turner, an English divine, physician, and natural historian discovered the magic of lavender centuries ago. But, since the time of the ancient Greeks, the world has had a love affair with the aromatic and healing properties of lavender. This fragrant beauty, with soft billowy flowers of violet, blue, and even white, has graced palace doorsteps and anointed kings and queens throughout history. When the doors to the tomb of Tutankhamen were opened, plant material resembling lavender was found filled in jars containing sacred essences. Lavender is one of the holy herbs referred to in The Bible’s Song of Solomon, and during Roman times this cherished botanical sold for 100 denarii per pound, approximately one month of a farmworkers wages. Mystics say that lavender keeps away the “eye of evil,” and it has been dedicated to the Goddess of Witches and Sorcerers, Hecate. Beloved lavender is prized today as an ingredient in herbal teas, aromatherapy oils, cosmetics, skin care products, and culinary delicacies. Its sweet and camphorous odor marries beautifully with its rich purple hue, delivering a pleasure to the senses that is almost without compare. Whether you reach for lavender to calm a tired spirit or to heal an aching body, there is no denying that lavender is the mother of all flowers. This gentle blossom has a unique ability to interact with the human form, physically and mentally, delivering health, happiness, and vitality of spirit to all who are open to her healing. What is it about lavender that allows it such impressive properties of rejuvenation? Chemically, lavender contains constituents that promote positive and concrete changes to the body. When applied topically, this natural medicine acts as an antiseptic, antiviral, anti-inflammatory, antirheumatic, antitoxic, anticoagulant, analgesic, and deodorant. Lavender is a first aid “go-to” for many holistic health practitioners to relieve pain, aches, swelling, and arthritis. The curative herb heals acne, soothes burns, relives headaches, and treats insect bites. 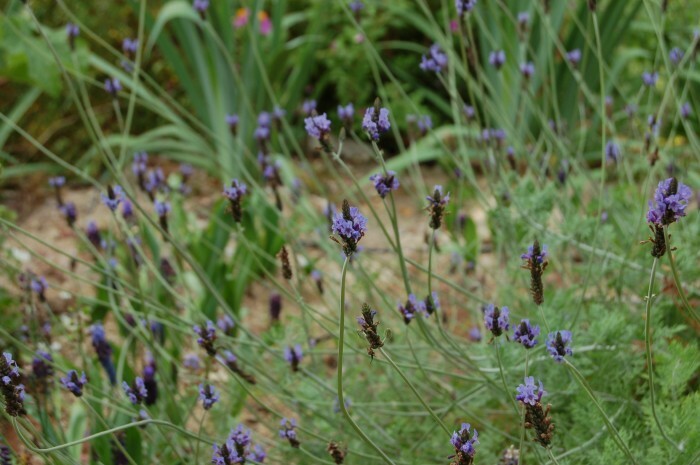 During World War I, lavender was used effectively to disinfect hospital walls and floors. An assortment of complimentary chemical compounds give lavender its ability to restore balance to our bodies and our surroundings, some of which include camphor, linalool, linalyl acetate, a-pinene, and 3-octanone. Lavender is an adaptogen, and has the remarkable capability of bringing all of the body’s systems to a state of homeostasis, regardless of their condition. Current research on lavender supports its ancient uses as a medicinal herb, and modern science is taking note of its efficacy. When used in aromatherapy, the fragrance of lavender is well rounded and highly malleable. Lavender conveys rich floral notes combined with gentle, balsamic wood and herbaceous undertones that combat stress, ward off nightmares, and reduce irritability. Lavender is peaceful, uplifting, invigorating, purifying, and refreshing. Who can you give lavender to today?